Home › Tools › What Is Society6? Can You Make Money At Society6? Do you consider yourself an artist? Would you like to earn money from your art? Then maybe you would greatly benefit from joining Society6 also called S6. This review, What is Society6?, will highlight and define what Society6 is to provide a possible avenue of revenue for artists and earning money from the comfort of your own home. 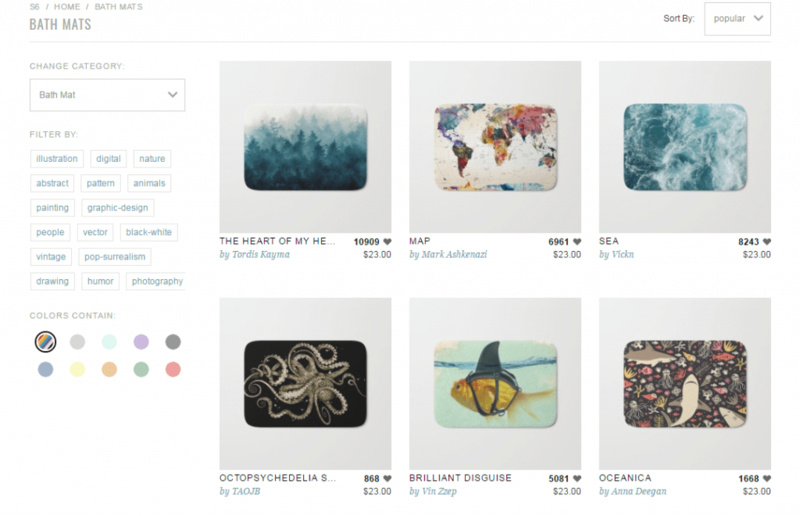 Society6 is an e-commerce site that allows an artist to simply upload their artwork and once uploaded it is available immediately for sale. Your artwork can then be placed on multiple items, from the standard T-shirt to throw pillows, and everything in between. Society6 then does all the work of producing, packaging and then shipping it out to you. This allows more time to focus on you making more art. This type of website is also called a Print On Demand Business. Allowing the product to be available for sale almost as soon as it is uploaded. Where you provide the art, they supply the production and shipping and handling. The amount of products in which to have your artwork on is pretty numerous. I counted 36 different products, but there are also variations of these products too, so there are many more as well. From the ubiquitous t-shirt to bathmats. This is the first bathmats I saw in which you could place your art on. I like to see the unusual like that. Society6 posts the amount you will make the various items sold on their Seller’s Guide found here. I will list a few, so you get an idea of what you make per item sold. Art Prints = Determined by you. You can make money selling on Society6 but be aware to get the most amount of sales and traffic you are going to have to advertise your art for yourself, at least for the most part. You will get some traffic from Society6, but not enough. So, advertising falls upon your shoulders, either through your fan base, social media or website. This must be considered when looking at the amount of money you received per items sold plus the amount of time and money into advertising you did. Tired of having your art ripped off? Society6 takes these offensive seriously and enforces strict rules pertaining to intellectual property violations. You and your art will be protected here. Society6 has a blog appropriately called S6 Blog, where you can find all helpful tips and featured artists, videos and a whole lot more. International community of artist. Not all countries are allowed to sell at Society6, but some are. Must check if your country qualifies. An outlet for your talent. Could possibly open doors for you in the future. Free shipping is offered quite often and is an excellent feature, even free international shipping. This can really drive sales. A platform to help change the situation of a starving artist to a thriving artist. The ability to see and be inspired by other artists works of art. Payment is made via PayPal, once you are verified. Just because you post something on Society6 doesn’t mean you give the rights to your artwork over to them. You can adjust and set the price for your artwork. A staggering 36 products in which to potentially put your art upon. Also have a newsletter in which to sign up for, to receive all the latest news and deals & coupons. Relatively low payout but it’s on par with other similar sites. Slow upload speed when uploading artwork. High competition and hard to stand out, as there is a lot of artists and artwork on the site. Head over to my page, Tips For Designing T-Shirts And Selling Them Online for great tips and ideas to help you start earning. A must!!! 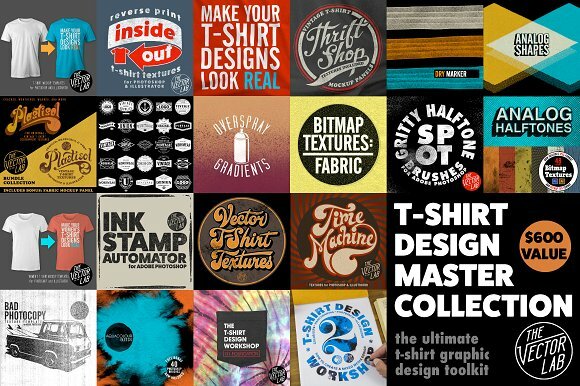 Head on over to Creative Market for vectors, patterns, fonts, brushes and more for your t-shirts designs. The prices are very cheap and they even have a free section. Take a look and see all the great things they have for t-shirt designs. Obviously, you want to upload the highest quality of your artwork you can. Although, needs to be less than 75 megabytes. More margin for profits selling prints of your art, as you can set your own price for prints. Most people sell their art at other Print on demand sites (some listed below). This gets their art out to more eyes and potentially more sales. Work to cultivate your fan base. Either through Social Media or by making videos on YouTube. Screenshot of twitter comments about Society6. Pay attention to trending topics then cater your specific art to what is trending or be the oak tree unmoving in the wind. Advertise your store. Social media post! Wear your own artwork. Now, now, don’t worry it’s not like listening to your own music you created. You should wear your artwork in public as it might be a great opportunity to introduce someone to your artwork. T-shirts are by far the best seller, cater to selling t-shirts. Funny stuff sells, cute stuff sells, and hipster stuff sells. Cater to these to increase sales. Here are some site that are similar to Society6. Feel free to check these other websites out. Artists from around the globe that would like to start selling their artwork online. Society6 provides that platform for monetization of your god given talents. It will increase your exposure as well, helping you generate a following, all the while earning money. They have a Seller’s Guide to help you learn the basics of selling at Society6, you can find it here, Society6 Seller’s Guide. Which seems to cover just the basics. They have a Help Center for both customers and artists to help solve common problems either might have. They also have a pretty basic FAQ page, along with a Contact Us link. Society6 is free to join. My final overall though on Society6 is it seems decent and has a decent reputation. I would like to see higher profit margins for the artist on items sold, at least an increased incentive to sell more, as you would be directing traffic to their site in your efforts to advertise your art. The profit margins are roughly the same as other similar sites. I like the amount of product in which to place your artwork, some of it unique and only offered at Society6. I love their promotion of free shipping, which happens almost every other week, as this is an excellent selling feature to get a person to bite on a sale. Artists have so many options today at platforms in which to sell and a serious look should be directed at Society6. ‹ What Is RedBubble? Can You Make Money With RedBubble? This is still relevant. Most people that sell their art sell on multiple platforms to increase their audience. Society6 is a decent place to sell but you should also sell at Redbubble, Moteefe, and Sunfrog. Redbubble and Moteefe are my highest ranked and you can read about why. There are others as well go to my page Big List Of Online Jobs and scroll down to Designing T-Shirts. There you will find all of the T-Shirt companies I have reviewed.